Sauskelnės Pampers Yra 32 prekės(-ių). Active Fit 4 (8-16kg) 168vnt. Active Fit 4 (8-16kg) 64vnt. Active Fit 4+ (9-18kg) 140vnt. Active Fit 5 (11-23kg) 136vnt. Active Fit 6 (15+kg) 120vnt. Pampers Baby Dry 3 (6-10kg) 100vnt. 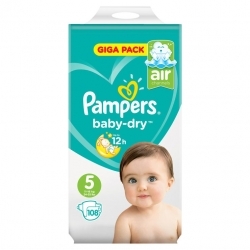 Pampers Baby Dry 3 (6-10kg) 198vnt. 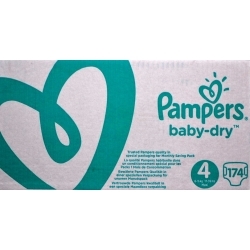 Pampers Baby Dry 4(8-16kg) 174vnt. 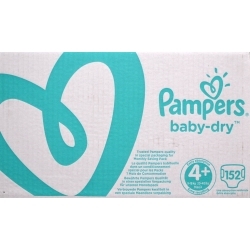 Pampers Baby Dry 4(9-14kg) 120vnt. 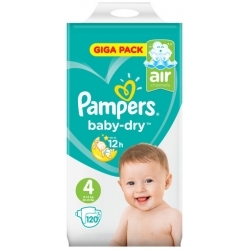 Pampers Baby Dry 4+(9-18kg) 152vnt. 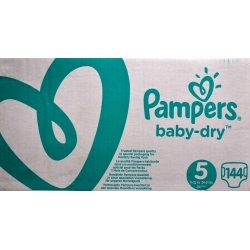 Pampers Baby Dry 5(11-16kg) 108vnt.